is a leading Expert as a Professional Dog Behaviourist and Master Dog Trainer located in Maldon Essex. He has studied with the Cambridge Institute of Dog Behaviour and Training Mike is also an Associate with The Canine and Feline Behaviour Association and Master Trainer with The Guild of Dog Trainers. Mike has attended numerous dog training clubs and dog agility clubs over the years. He has gained a huge understanding of dog behaviour by studying stray dogs in Europe. These dogs were mostly once pet dogs but left to fend for themselves and often formed into packs. Mike studied these dogs to get a greater understanding of pet dog behaviour and see how dogs use their body language and gestures to maintain harmony in their packs. 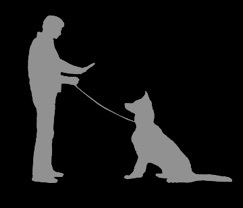 Mike has utilised and adapted this knowledge to communicate directly with dogs that he is asked to deal with. Mike can quickly gain their trust and respect which often leads to correcting any unwanted behaviours or dog problems in just one session. Mike is a partner in Essex Dog Academy located in Maldon Essex which offers the unique Excel-erated learning program with puppy dog training classes, beginner, intermediate and advanced dog obedience training classes. Dog agility classes are also very popular with the emphasis on having fun. Many of the dogs Mike has dealt with suffering from fear or aggression problems have been successfully integrated into mainstream dog obedience classes or dog agility classes. 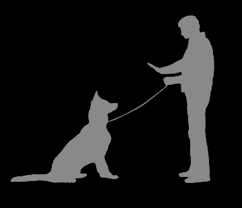 Mike demonstrates how to train a dog in the shortest time resulting with a happy and obedient dog. Mike’s other passion is dog photography. He qualified as a Master Photographer in 1986 and is renowned for his stunning dog photography. He has won many national and international awards. Mike utilises his skills as a dog trainer to settle each dog which enables the portraits to reflect the dog’s personality and character. Mike is happy to include the owner and their families in some or all of the dog photography if they wish. Portraits can be taken in Mike’s studio or a chosen location.